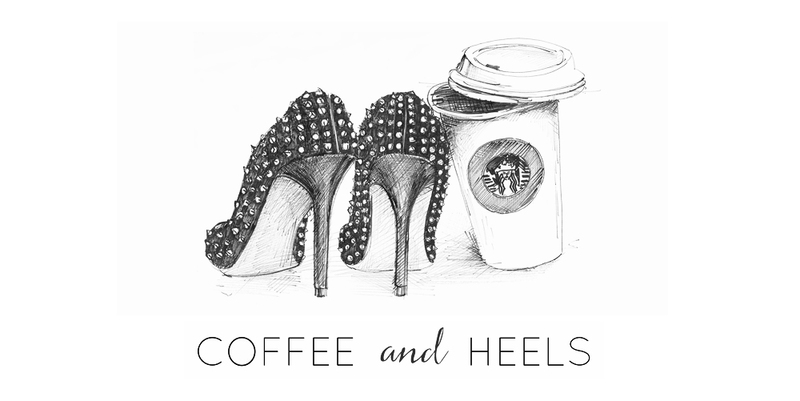 Coffee and Heels: Me in GLAMOUR Germany! 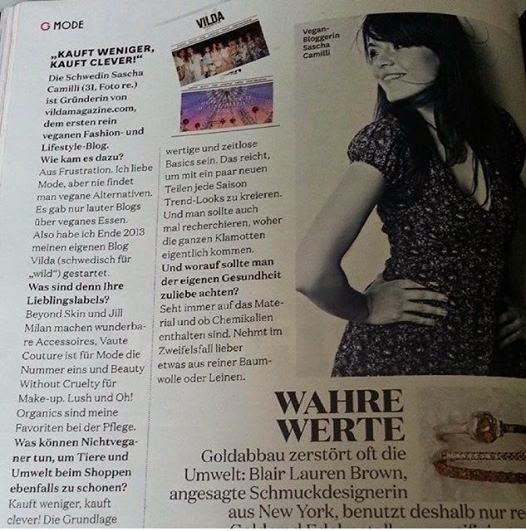 A few weeks ago I was contacted by GLAMOUR Germany for an interview for their sustainability special, where I was asked questions about starting Vilda, shopping smart and vegan fashion tips. Which in itself is quite crazy - Vilda's not even one year old and we're making it to national magazines already! I had to pinch myself for this one. Swedish Sascha Camilli, 31, is the founder Vilda Magazine, the first vegan fashion and lifestyle blog. 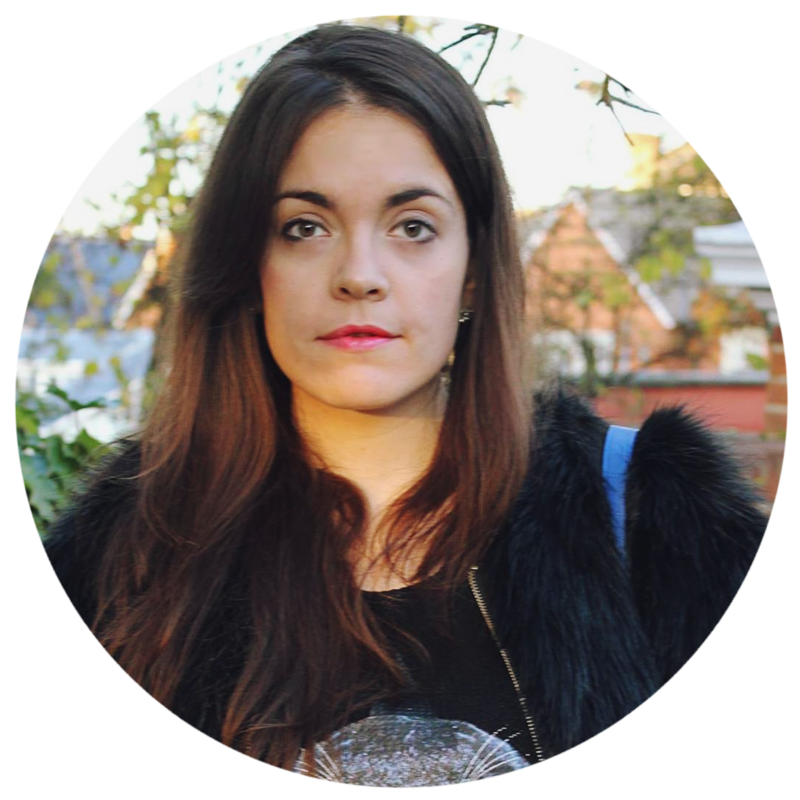 -Why did you start the blog? Because I was frustrated. I love fashion, but vegan alternatives are hard to find. There were only vegan food blogs. So I started Vilda Magazine at the end of 2013. - What are your favourite labels? Beyond Skin and Jill Milan have wonderful accessories, Vaute Coute is the number one for fashion and Beauty Without Cruelty for make-up. Lush and Oh!Organics are my favourites for beauty and wellness products. - Is there anything non vegans can do to save animals and the environment while shopping? Buy less, buy smarter. The base of every wardrobe should be high quality and timeless basic pieces. That is enough to create a trendy look every season with the help of some new pieces. And you should do your research where all your clothes come from. - What should you pay attention to when you care about your own health? Always check the material and if the clothing contains chemicals. When in doubt rather buy something made from cotton or linen. I loved it - except that they did refer to Vilda as a blog, which I'm not too keen on. And they didn't include the last question they asked me, what my dreams for the fashion future were. I answered that I'd love to see all real fur eliminated from catwalks forever. 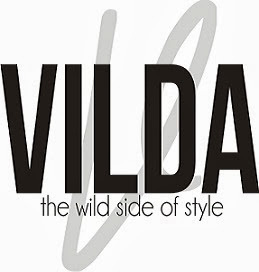 In that regard, we've got something super exciting coming up at Vilda - stay tuned. And by the way, those of you that live in London might be interested in joining me for VegFest UK on 27-28 September - head over to Vilda to win tickets! Wonderful!! Do you want me to buy some copies for you so you can have some 'proper' tear sheets? che bello, congratulazioni! Scrivigli però che rettifichino che Vilda non è un blog!